A bench headed by NGT Chairperson Swatanter Kumar asked the officials of Uttar Pradesh government and the authority to explain the steps they were taking to deal with pollution. 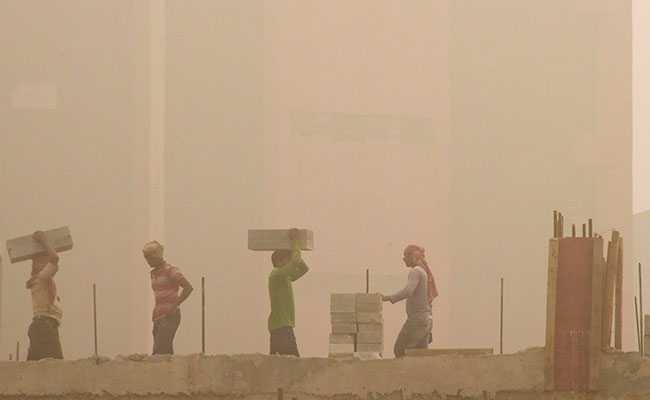 New Delhi: The National Green Tribunal today lashed out at the UP government and the Noida Authority for not abiding by its order banning construction in the national capital region despite PM10 level being over 900, saying they were making a "mockery of the system." The bench was hearing a plea alleging that despite orders, construction material, hazardous to the health of the locals, was lying in the open. "You have no respect for human rights. This is disgusting. You have no respect for people. PM10 is over 900. You are equally bound by our order as you are a part of Delhi-NCR. You are making a mockery of the system," it said. The sharp observations of the bench came on a plea claiming that construction activities were unabashedly being carried out in sectors 71-78 of Noida and sand, bricks and debris were lying in the open, posing a threat to the people. Showing pictures of debris lying on the roadside, petitioner Amit Gupta sought directions to the concerned authorities to immediately remove the material, use of water sprinklers for suppression of dust. The plea also sought direction to the Uttar Pradesh Pollution Control Board to establish ambient air quality monitoring at sectors 71 and 74-78.